Our range of products include spice grinder machine, spice grinding plant, spice processing machine, spice grinding machine, gram peeling machine and spice grinding processing machines. Our strength lies in our proficient team of engineers and dexterous workforce helps us in manufacturing and supplying Spice Grinder Machine. 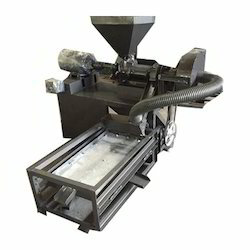 This machine is manufactured by using optimum quality cast iron and mild steel. This machine is mainly used for grinding and making spices. Clients can obtain this machine from us in different technical specifications from us. We offer this Spice Grinding Machine at cost effective prices to clients. 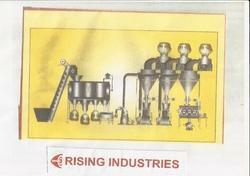 We hold the specialization in offering exclusive quality Spice Grinding Plant at affordable market price to our customers end. Offered plants are manufactured by our highly experienced and skilled workforce in the compliance with industry decided parameters. The plants we offer are used for effective washing, pulverizing and mixing of spices. 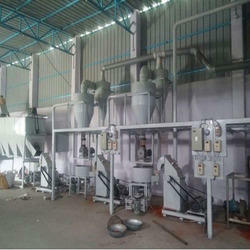 Our plants easy to install and operate, it is demanded in various spice processing plants and flour mills. 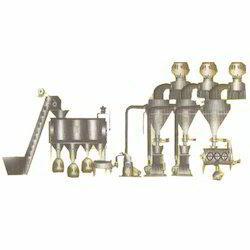 Our organization is counted among the most prominent manufactures of best quality Spice Processing Machine. Sourced from trustworthy vendors, high quality stainless steel metal is used to manufacture offered machine. These machines are popular among the clients for their seamless finish, smooth installation, optimum performance and longer functional life. 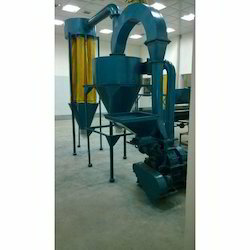 These machines are demanded in various flour mills and spice processing plants. We are instrumental in manufacturing optimum quality Spice Grinding Machine and offer these at industry leading prices. Offered machines are manufactured under the supervision of our team of qualified professionals, using cutting-edge technology and good quality raw materials. Our grinding machine is known for its sturdy construction, seamless finish, simple functionality and hassle-free operation. We are reckoned name engaged in manufacturing and supplying the most demanded Gram Peeling Machine. Our offered gram skin peeling machine is widely demanded by gram flour mills, as the high performance and longer functional life of this machine reduces operating cost for our prestigious clients. Equipped with powerful motor, this machine features optimum output capacity and space saving dimensions. These Spice Grinding Machines can be availed by the customers in various specifications such as sizes, dimensions and shapes. Moreover, our products are widely used in various industries due to their outstanding features like dimensional accuracy, optimum strength and fine finish. This one comes with a torsion-resistant design, monolock gearbox and slide. Speed control and torque control are the features that separates it from its competitors.